Catalyst Game Labs is going to be splitting their Shadowrun introductory box into 2 boxes. 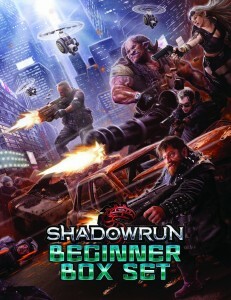 As part of the Year of Shadowrun, Catalyst announced a Shadowrun Introductory Box Set, which would be the first ever “starter” box for Shadowrun. Unfortunately, as happens to us sometimes, our passion got the better of us, and right as we were ready to send it to print we realized it was trying too hard to do too many things.